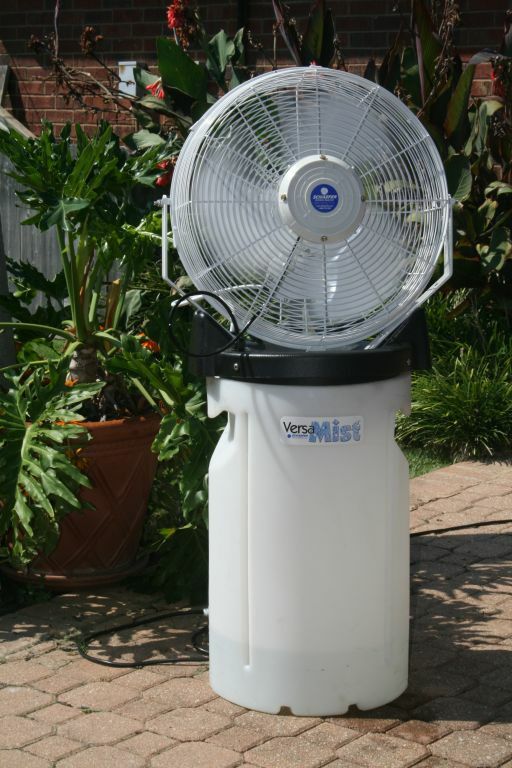 The Versa Mist Portable Misting Fan System will keep you cool when the temperatures get hot. This portable misting system has a 3-speed motor and can be attached to a water reservoir so you can use it almost anywhere; pools, construction sites, camping, picnics, on the patio, or at the game. It has a 25 foot outdoor rated power cord with integrated GFCI. The pump is rated at 1 gallon per minute output housed in a heavy duty enclosure with a power cut off tip switch. The fan assembly includes a white powder coated fan mounted to a yoke that is attached to the pump enclosure. The patented hub increases the air flow from the fan and releases mist in the “sweet spot” of the fans air stream. The mist hub has four .012 nozzles. One extra nozzle and two plugs are also included. Designed for sporting, commercial, and industrial use. • Portable “person cooler” combines fine mist and high speed air movement for personnel cooling indoors or outdoors. • 18″ UL507 rated 3-speed fan produces up to 6,600 cfm of cooling breeze. • Built in pump produces 2 gallons/hour of fine mist. 16,000 BTU/hour (1.4 Tons) of cooling. • Safe. The fan has OSHA-rated guards and is UL507 rated for outdoor use. 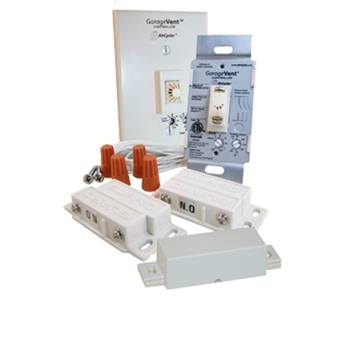 The 25′ outdoor rated power cord has in integrated GFCI plug. Unit has an integral tip switch that turns power off to the unit if the unit is knocked over. Fan and pump assembly securely locks to the water reservoir. • Portable. 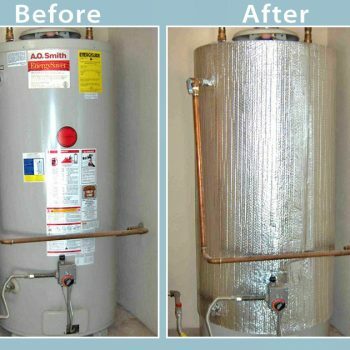 Unit comes with its own water reservoir (10 gallons or 14 gallons) for up to 7 hours of uninterrupted use and a 25′ cord to connect to a standard wall outlet. Pump and fan assembly is easily separated from the reservoir for cleaning or storage. • Available with white or black fan heads. • Fans can be angled up or down for optimal cooling. THIS PRODUCT IS NON-RETURNABLE ONCE DELIVERED.